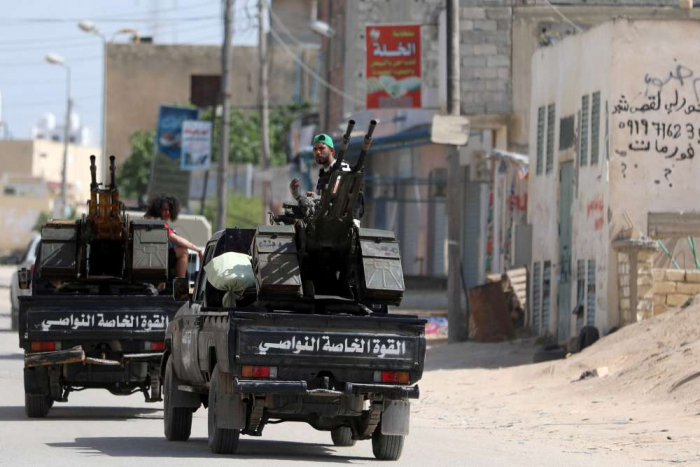 ighting between eastern Libyan forces and troops loyal to the Tripoli government has killed 56 people in the capital, the United Nations said, Reuters reported. Among the dead were two doctors and one ambulance driver, the U.N.’s World Health Organization (WHO) said in a statement. It did not specify if the others were civilians or combatants. The Libyan National Army (LNA) forces of eastern commander Khalifa Haftar held positions in suburbs about 11 km (7 miles) south of the city center on Thursday morning.